Narrative: - Donated in Memory of Gertrude Leck, which was originally used by Captain F.K. Grant on board of the Scotia Queen. 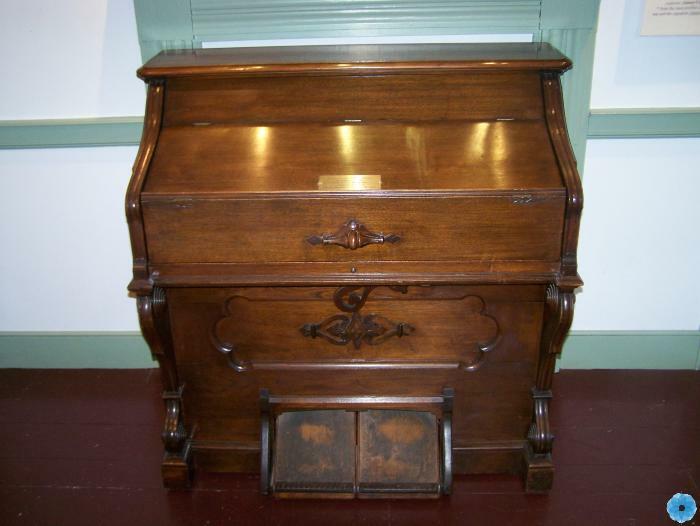 Description: One pump organ, with 2 pedals, 61 keys and stops.